What Can the Design World Contribute to Management? I recently saw a terrific documentary, “Objectified“, by Gary Huswit which is all about how things are designed and how design affects us. (Available on Netflix — I highly recommend it for various reasons.) 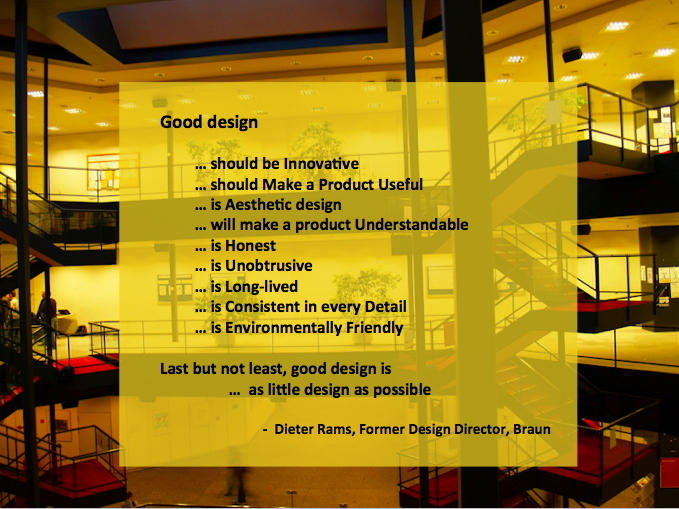 When I heard the list of characteristics of Good Design put forth by Dieter Rams, it struck me that many of the elements of great design apply to management. … should be Innovative. In the case of management, it is not about a stream of new programs, but it is about being open to innovation and ensuring differentiation. … should Make a Product Useful. I think the important analogy here is that great management should maximize employee “usefulness” by enabling them to be engaged and productive. … will make a product Understandable. It should be easy for people to understand how to get their jobs done, how the customer experience gets formed, and how to get decisions made. … is Honest. Enough said. … is Unobtrusive. It should feel like the system is serving the people, not the other way around. … is Long-lived. Things have to change super-fast, but every company has to build some fundamental principles that endure. … is Consistent in every detail: Well, there is a part of me that immediately rebels, with Emerson’s “a foolish consistency is the hobgoblin of little minds” as my shield. But we’ve all experienced companies with big service messages that have rude representatives, or a great new product with no training for the sales force. So yes, great management means focus for a critical mass of consistent implementation. 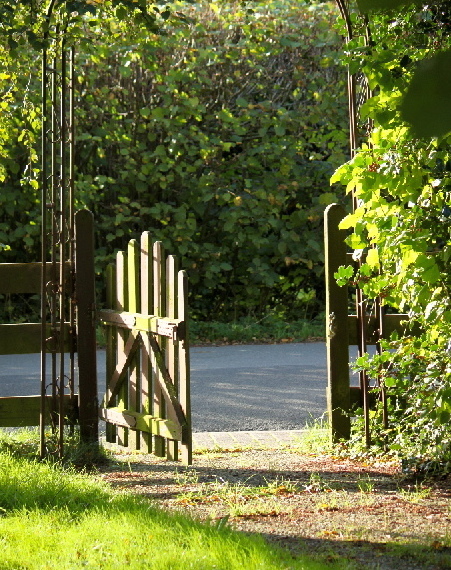 … is Environmentally Friendly: Sustainability is no longer a matter of choice and it is definitely not a marketing message. It is an inescapable set of forces that affect every business in the form of cost changes, voluntary and uncontrolled transparency, customer expectations and regulatory actions. The design world clearly offers a lot of catalysts for Affective Action. I’m intrigued. Are there other design principles or practices that you think can be used in management? In my blog “Facing Failure” I used Henry Petroski’s design concept of building success on the back of failure. Another use of design principles for business thinking.